Product #1253 | SKU EF28300LISUSM | 0.0 (no ratings yet) Thanks for your rating! Compact and versitile zoom lens for nature and action photography. 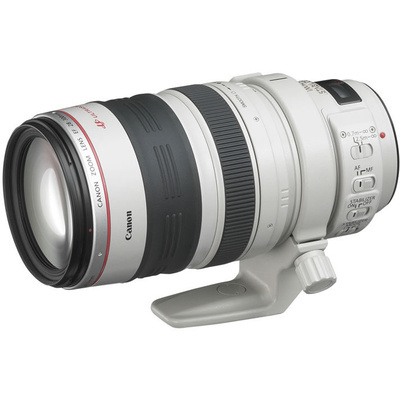 The Canon EF 28-300mm f/3.5-5.6L IS is a handy, all-in-one compact zoom lens for versatile and easy subject selection while traveling, etc. This lens offers the highest optical performance in its class, plus the convenience of focusing as close as 2.3 feet over the entire zooming range. This lens is also equipped with a dual-mode Image Stabilizer suitable for panning as well as stationary subjects. With full-time manual focus, optimized lens coatings to minimize ghosting and flare when used with a digital camera, high resistance to dust, moisture and water droplets, this is a lens that's extremely easy to use, and ideal for a wide variety of applications including nature, wildlife, sports, and documentary photography.